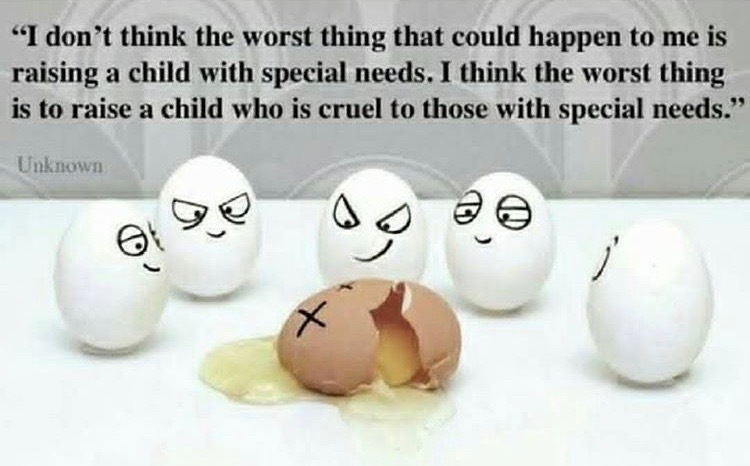 That said, I am really big on anti-bullying, and because I work with children in Marital Arts, I like to encourage education about what seems to be more and more prevalent these days. 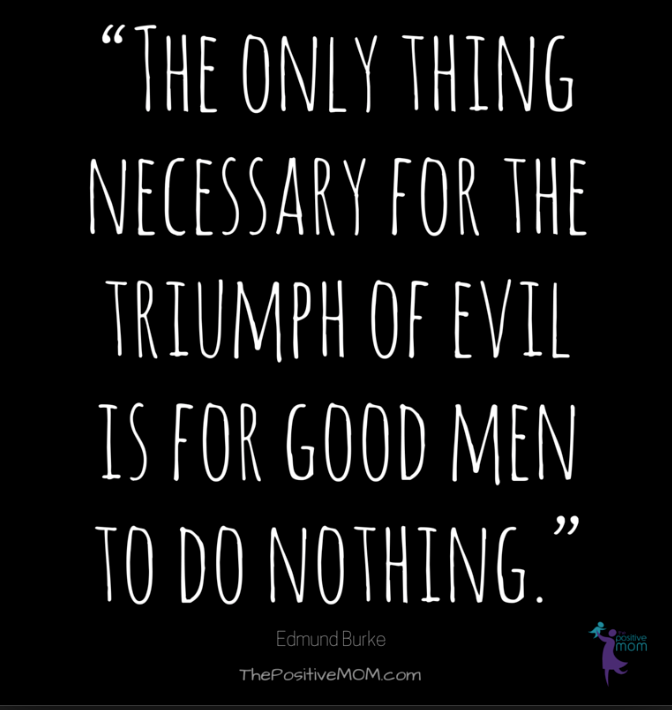 Having been the subject of several forms of abuse from partners in my past, I can safely say it is a topic that some have a hard time speaking up about, particularly as the victim. Bullying in and of itself is a very primal act…and one you might expect humans would have the wherewithal to override. While dominance is oft exerted in the animal kingdom, I feel that the deliberate taunting is something human beings have added to the mix. I like that Illamasqua – a brand that stands apart in a multitude of ways – is so outwardly supporting this cause. I can’t say that I was outrageously divergent aesthetically, but I got to a point where I was enough so, that I got teased, talked about, harassed too… That wasn’t the “abuse” in my own life so much, but it was pretty terrible. While I managed to sidestep most of it (mainly I was distracted by worse!) I understand what it’s like. 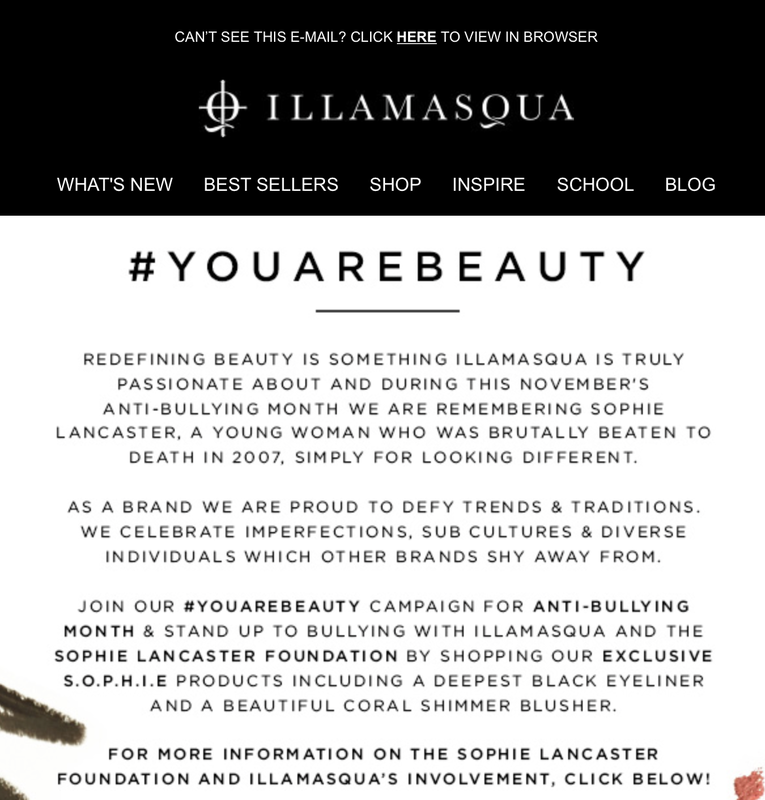 Illamasqua has been honoring the memory of Sophie, a young lady who was the horrifying subject of bullying gone to the extreme, since her passing in 2007. Each November they run a campaign to spread the word, and to take proceeds and donate them to a worthy cause. 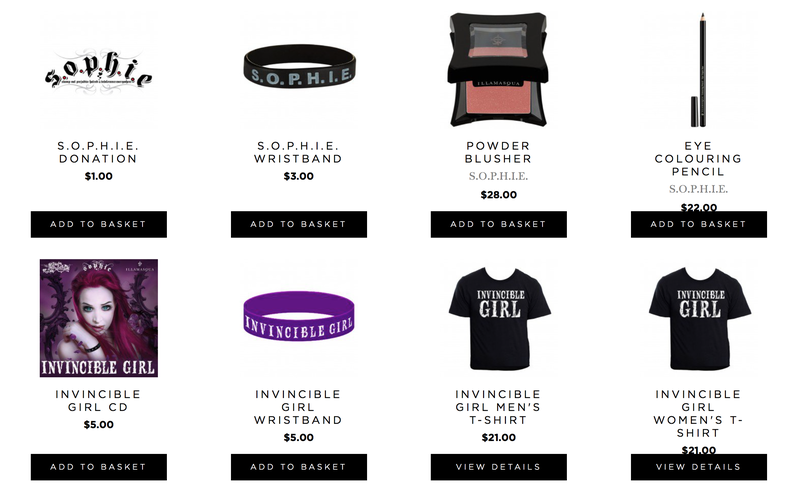 I have no affiliation with this company in any way, and in fact learned about Sophie some years ago through them. But again, I respectfully share because it’s important that no one is alone in their suffering.